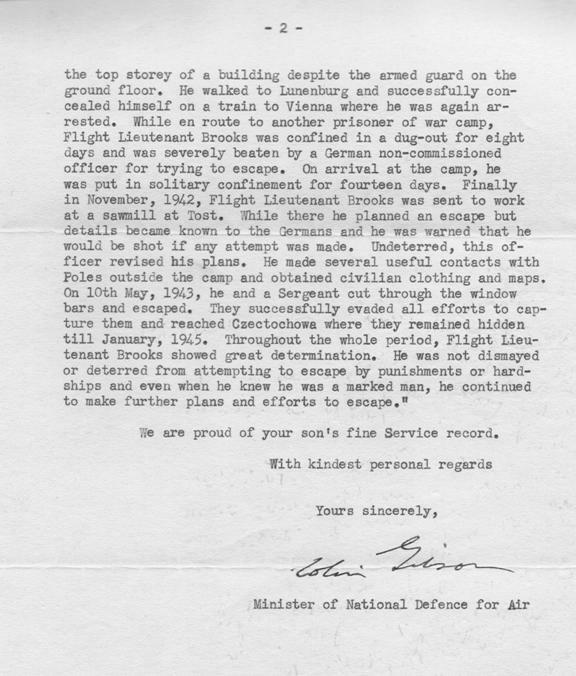 The British Air Ministry made the 1st announcement on Oct. 8, 1946, that Brooks was awarded the Military Cross for his courage, perseverance, and ingenuity. 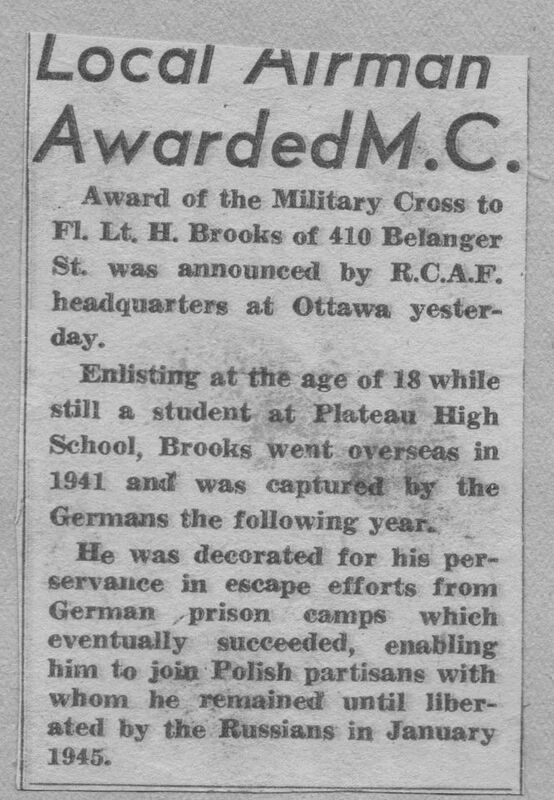 The citation described his escapes, but made no mention of his work with the Polish Home Army. 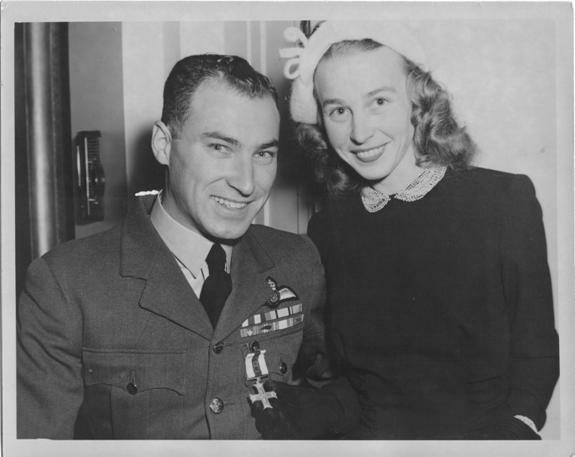 The Military Cross is a rare award for an airman. Brooks also had two mentions in dispatches. Click the ONLINE LINK to access The London Gazette citation reference. 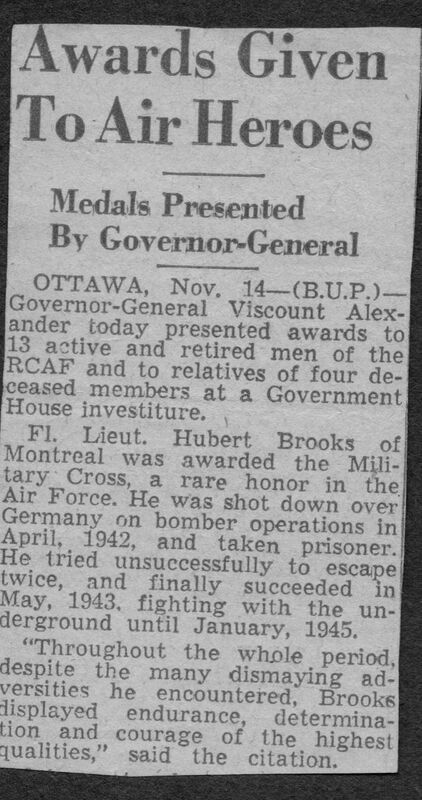 The Military Cross Award was formally presented by Governor General Viscount Alexander to Hubert Brooks at Government House in Ottawa, 14 November 1950. 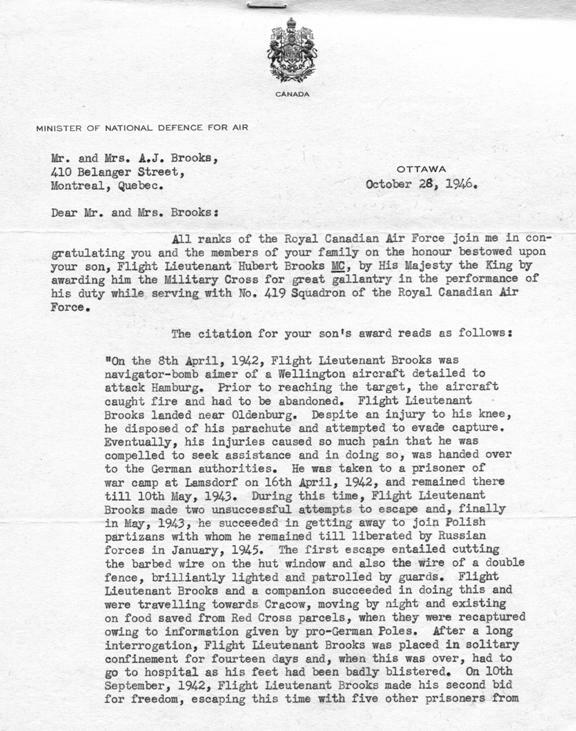 Brooks' WW II citation is the longest of anyone in the Royal Canadian Air Force. BROOKS, P/O Hubert (J94368) – Mention in Dispatches – No.419 Squadron – Award effective 1 January 1946 as per London Gazette of that date and AFRO 155/46 dated 15 February 1946. 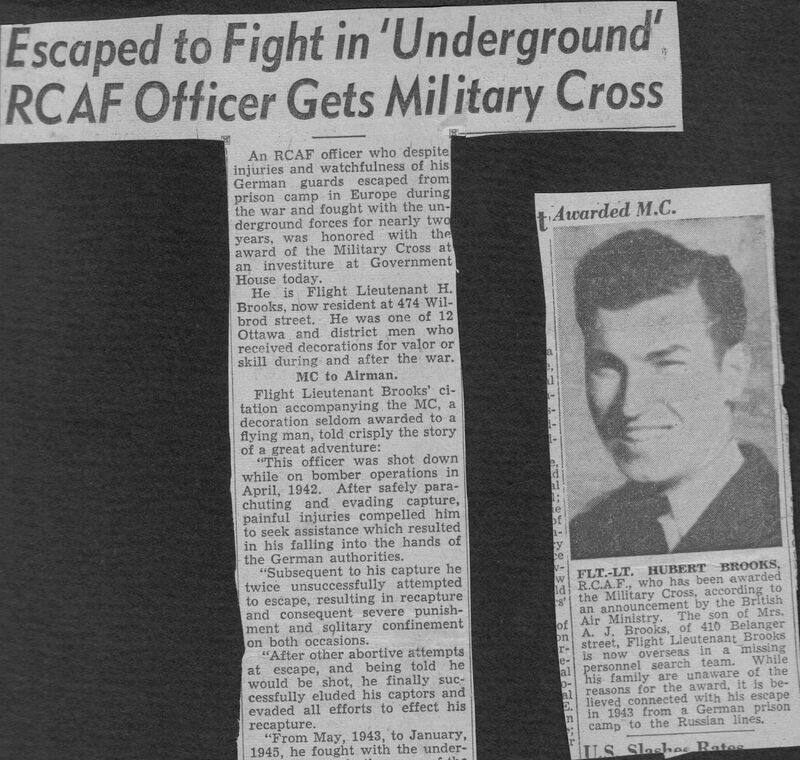 Clipping in file notes he had lived eight years in Ottawa (to age of 12) before going to Montreal. Described by his sister Doris as "too full of the devil for the Nazis to hold!"